- Three types of disconnect spring are available, with differing lock method at closing. 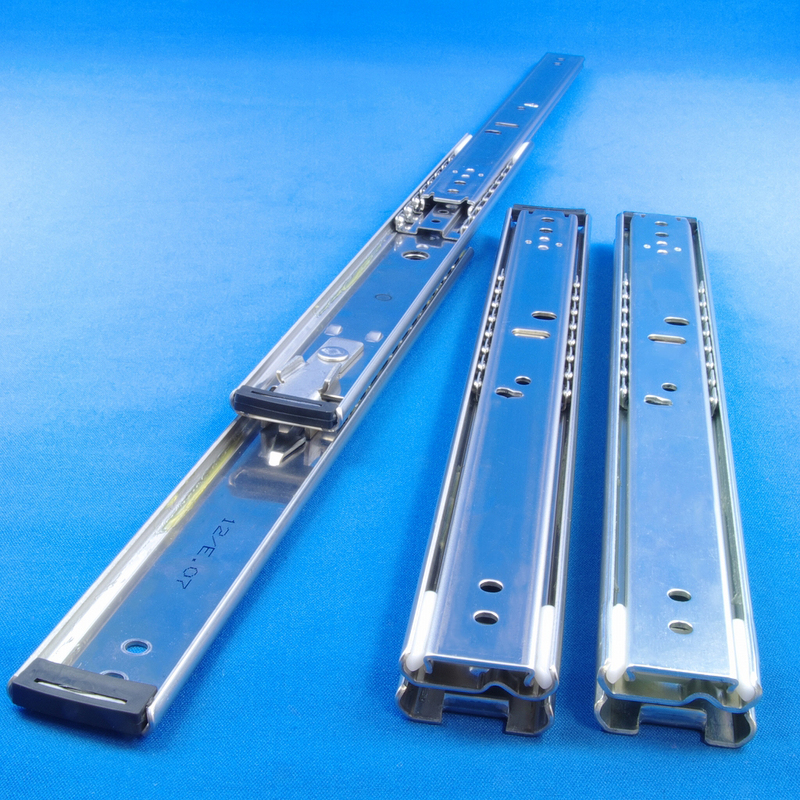 - Because the lock mechanism acts at closing, the draw-out rail is locked and the inner member can be easily reinserted. - Part numbers (1) (2) (3) (8) (9): Electrogalvanizing (trivalent bright chromate); however, U35 is stainless steel and therefore unplated. Stopper takes effect at draw-out, and is manually released at inner disconnect. Lock release method at closing can be selected by disconnect spring type. As well, the C2 and C3 types are standart products. C4-----------Hold-detend (release and closing upon slight pressure without spring operation.